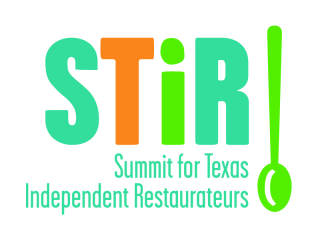 The Texas Restaurant Association's Summit for Texas Independent Restaurateurs provides education on key operational issues and the opportunity for independent restaurateurs to interact and learn from experts and their peers. Learn what it takes to create a company culture that values and celebrates employees, how to find and keep the best people, the latest developments in recruiting, training and retaining employees and more. STIR is open only to independent restaurant owners and operators.